Brookdale Eden Estates has been wonderful, very inviting, and feels like home. The staff is super friendly, pleasant, and makes you feel like you've known them for awhile. The food is very good and the amenities are very impressive. My mom has already moved in. It is beautiful and welcoming! Always something to do, food is great and care is exceptional! My father is a resident there. They want you to believe that this is an awesome facility because it IS clean and the rooms are nice (one star), but the care they give the residents is sub-par. They welcomed him with big fanfare but don't regularly check on him; he had good relationships at the past facility where he was a resident and they all treated him so kindly. The food is good most of the time, so that is another reason for one of the stars. I don't believe they truly care about the residents. As another review states, it's COLD (adjective for uncaring). I hate to have him move again, but we're going to look for another place. I am a resident of Brookdale. I have the care if I need it. If you go to the dining room and drink a glass of milk, you can have it. However, if you want to take it to your apartment, they will charge you a dollar. I just don't understand all the rules, and they do not have them in writing, so you cannot go back and look at the rules. It is clean and nice, but cold and uncaring. I have a two-bedroom apartment. The bathroom and the closets are very big and good. You don't feel cramped. I do not have any problem with the room nor the apartment that I live in. It is just cold and indifferent. The care that they give on the yard and keeping everything clean is great. I was living over at Brookdale in Bedford for a while. I saw nothing wrong with the staff. They were good and really nice. You could ask them to help you do something and they would do it to the best of their ability. The food was varied. One time, the meal would be good, but the food was always overcooked; that could be just my taste, though. They didn’t have a swimming pool, but they did have a library, which was suitable. They were remodeling it at the time I was there. They had a really nice place upstairs, but the activities were very sparse. Brookdale Eden Estates is an excellent place. My husband and I were very happy there although my husband had some issues with food and wanted to find better food in another facility but that’s just because he was so used to my home cooking. The facility is outstanding and the management is great. Brookdale Eden Estates (formerly Emeritus at Eden Estates) was absolutely wonderful. My mother goes upstairs to a restaurant and orders her meals three times a day. It's more like an apartment complex than anything else. It's a really great place. They have studio apartments, one-bedroom and two-bedroom apartments. They have transportation available, if they need to go to the store. They have a game night, movie night, activities you can do on grounds, and they have walking trails. As soon as I walk in, it has a happy atmosphere. She has a studio apartment, and they allow her to have her pets. I had lunch there a couple of times, and the food is really good. The staff is extremely nice. The director of the place went out of her way to help us to get her in there on our budget. They are really helpful and just really nice. At Brookdale Eden Estates, they kind of mingled the retirement with the assisted living, and that is something we weren't looking for. It was very clean and a little older. It's nothing bad; it just wasn't for us. Emeritus was very clean, and the staff was very professional. They have 3 meals a day. They also have an exercise class. It was a very, very nice place. The director there was very professional. I discussed it with my wife's mother, and we know that it would be a good place for her to go if she needs assistance later on. My parents are at Eden Estates now. It is a secure area, but residents can come and go as they please. The reasons we chose them were just the way that they had the layout of the bedrooms, the closeness of the facilities to support family, and also the availability. My mother is a level 1 assist; however, it is a challenge when it comes to trying to get somebody to assist her. They have all kinds of activities there. They even have the shuttle service to go to areas to get supplies for people who are independent. My father is able to do that, so that's another reason we chose them. Also, it is the convenience of being able to keep my parents together and for my father to have activities that he can be supported with. My parents are very happy with the facility in terms of livability, but as far as meals, they don't rate them very well. The meal service is subpar. They have complained numerous times to me. Mom is in Emeritus at Eden Estates. It is very good. The staff is excellent. She is in a large studio, which is about 500 square foot with a kitchenette and a large walk-in closet. They have activities like church services, movies, and transportation to different locations like stores and restaurants. My mother is very happy with all of it. The only complaint she has is that they give them a lot of food. I thought Emeritus was great! I was really impressed and I liked it amongst the ones we toured. It wasn't my dad's favorite, but he liked it. The lady coordinator there, Peggy, was very nice and knew a lot about it and answered a lot of our questions. Everybody I met seemed to be very nice and cordial. It had a convenient location because it was close to my sister, the hospital and my dad's doctor, which was just right across the street. We ate there and I thought the food was great. We looked at a one-bedroom and two-bedroom apartment. It was roomy and I thought the kitchen was very nice with a full size refrigerator and a couple of stove burners as well as a microwave. The people who lived there enjoyed living there. We also looked a studio apartment, which had a divider in the middle of the room instead of a wall. But it was the same, the bathroom was really nice. What I didn't really care about the studio was that it had a carpet in the kitchen area. But other than that, I thought they nice rooms. They had activities where they play cards and dominoes. They went to Walmart once or twice a week. They had outings, baseball games and movies. Emeritus is our first choice if we could afford it. I was really impressed with the person who showed us around. She not only gave us the information but she knew all the people and she called them by name. She was very up on all the stuff. As far as the activities and all that stuff it was excellent. They have activities going on every day. They have a coffee shop set up for them and they have activities out in the patio. The food was fantastic. I really liked the rooms; they are very adequate. The workers are great. I visited Emeritus for my wife. When we walked in the doors, there were just hallways and hallways and that's all we saw - hallways in every direction. The whole place was like a nursing home. There was nothing assisted living to it. Everything was just one room. We were looking for something that was more like an apartment. Nevertheless, the staff was very nice when we visited. Eden Estates is a lovely facility. It is a small facility but it is centrally located. They are only one exit down the highway from a major hospital and they are across the street from my mom and dad's primary care physician and cardiologist. We like the idea that they have independent and assisted living and the nicest part there is that you do not have to move and change apartments to get assisted living. You can hire assisted living services and stay in the same unit. The two-bedroom/two-bathroom apartment that we saw is smaller than one in the other facility that we visited. I just felt like it would be a little tight for the two of them. They both have walkers, so they have to have room to be able to get past each other in the house. Everything in Eden Estates but the price would have worked with us, their cost was just outrageous. Emeritus was a nice and clean facility. The staff were very nice and helpful; they were good to the residents and the visitors. In the dining area, they had a very pretty table cloth and cloth napkins; the food was good too. My parent was a resident of Eden Estates for 3 1/2 years. At the beginning it was a wonderful place to be. As time went on the management team changed and there seemed to be more and more issues that were not addressed. Our parent was not getting the care that they needed or that was being paid for. There were two different occasions where our parent received the wrong medication. The med aides had gotten residents meds mixed up. They did not seem to think this was an issue. I in turn felt that this error could have caused a fatality. On another occasion our parent was not given their meds for over a month. Facilities of this nature can endure mistakes with housekeeping, laundry, activities......BUT should NEVER happen with medications. They also state it is both independent and assisted. They need to drop the assisted and only have the independents living there as that is who they cater too. It was suppose to be a gated community. The gates all broke and were not repaired for the length of time our parent resided there. The back door was broke and would not close for over a month. No security. We were not happy at all with Eden Estates the last two years of our parents residency. When checking any of these facilities for our loved ones we always need to get other families comments and recommendations before making a decision on a quick meeting with a marketing/sales type person that wants to keep 100% occupancy. Facility is nice and people are very friendly. The cafeteria there is a lot like a restaurant and the food is not the best but is still pretty good. The facility is a bit expensive but is gated and near the HEB hospital so for emergency circumstances you are in good hands. It is a bit hidden but in an area with little traffic and as stated before next to a major hospital. The facility is gated and has security at each door, the facilities are decent nothing fancy has about 2 small game rooms with not so modern tv and a pool table, several bored games and several activities through out the day to keep residents busy. My great grandfather of 101 stayed there and recently past away he loved the company we gave him but often complained of being lonely and bored so we had to have a nurse stay and keep him occupied several days through out the week. So although the staff is great they don't spend much time 1 on 1 with the residents. The needs of diabetic residents are not met. They are expected to count carbs and adjust their eating habits accordingly, whether they are mentally capable of doing this or not. Would not recommend this place to anyone who has diabetic concerns. We truly appreciate your time and feedback. Eden Estates is an Assisted and Independent Living community, where residents live "“ and sometimes eat "“ in their own apartments and do not require a high level of care. To address the needs of our diabetic residents, we offer a "Controlled Carbohydrate Diet." Additionally, all of our menus are marked with the best selection for our diabetic residents. Because we are an Assisted and Independent Living Community "“ and not a Skilled Nursing Community "“ we can only provide the menu and guidance. For residents who are not capable of making the right nutritional choices, a Skilled Nursing Care community would be the appropriate choice for them. Please feel free to contact us at the community if you have any questions about the different types of care offered at one of our Assisted Living, Independent Living or Skilled Nursing Care communities. When I realized a few months ago that I needed to move my parents to an assisted living facility, I was totally panicked, out of control emotionally, and stressed to the max! I immediately went to the internet to find some help and Eden Estates was among several local facilities recommended by A Place for Mom. I am a consultant and travel out of state every week for my job so I asked my daughter and a friend to do a preliminary check of the places for me. They raved about Eden Estates in Bedford and said it was perfect. But I had to have comparisons so I visited two other facilities before I went to Eden. There was just no comparison! Eden is bright and light and clean and inviting and the other places were like a small step up from a nursing home (which we've had horrible, extensive experience with as a rehab facility following surgeries for both of my parents). Peggy Barker, who is the manager of the facility, is just awesome. She treats everyone as a friend and went out of her way to make us feel at home. We were able to visit an apartment of one of the current residents and that sold my Mother on the concept. When we toured, everyone made us feel so at home and relieved the concerns my Mother had about leaving her home and friends. My stepfather is going to be a challenge for them but I've been assured they will go out of their way to get him acclimated and accept the move. We're moving in three weeks and it will be such a relief to have my parents living within a mile of my house and in such a nice place. I highly recommend Eden Estates to anyone who is searching for an assisted living facility. The ENTIRE staff at Eden Estates has gone above and beyond to make us feel apart of the family. The move in process was wonderful and painless. I am so excited for my Grandmother to live in such a warm and fun community! Brookdale Eden Estates is a very nice and clean place. The staff is excellent and they took care of everything. They walked us around and showed us everything. The place is excellent. The food is great and the people are great. My brother is enjoying it. Brookdale Eden Estates was great. The staff was super helpful and supportive. The dining area looked pretty nice. They had a beehive of activities that you can tell that people were partaking in it. The place was really nicely decorated and laid out, clean and the entryway was pretty nice and upscale. There were some nice living areas and some very dedicated PT areas which is a nice thing to see. The staff who helped me was amazing. Describe the overall population of assisted living residents at Brookdale Eden Estates. What is their average age? What are their favorite things to do? The average age of our residents is 85. They range in age from 72-103! (We have three residents over the age of 100). Our residents’ favorite activities include card games and bingo, going out to lunch, games to keep the brain fit, and musical entertainment. We even plan large group outings to plays and movies! What programs or activities does Brookdale Eden Estates offer to enrich residents' well-being? What places are near Brookdale Eden Estates or within walking distance for assisted living residents to enjoy? Our community is located within walking distance of the Bedford Public Library, shopping and medical care. We are also minutes from major highways. What transportation services does Brookdale Eden Estates offer to assisted living residents? We have a bus with a wheelchair/scooter lift and a community van that offers complementary scheduled transportation several days per week. What makes the chef or dining program at Brookdale Eden Estates exceptional? What kind of menu can assisted living residents expect? We serve three meals a day in our dining room, and our residents enjoy menu options including a choice of three entrees. A variety of side dishes and desserts. The menu is designed to be easy to read, and our Dining Director meets with our residents monthly to plan meals according to their dietary requests. What safety features or security measures does Brookdale Eden Estates offer to assisted living residents? We have a gated community with 24 hour security/front desk concierge and care staffing. How does Brookdale Eden Estates keep residents' families informed about their loved ones? Efficient, open communication between our nurses and our resident families is the key. Our Health and Wellness Director and her team of nurses and care staff are available 24 hours a day, 7 days a week. We provide our families with an on-call nurses phone to ensure speedy response time. What is the care staff-to-resident ratio at Brookdale Eden Estates during daytime and nighttime hours? We staff according to care needs, we utilize a unique staffing system that guarantees the perfect staff to resident ratio at all times. Our staffing exceeds the minimum state mandated requirements. If Brookdale Eden Estates accepts dogs or cats, what indoor/outdoor areas can they enjoy? We love our four legged residents! We have a dedicated area on our property for dog walking. What safety features or security measures does Brookdale Eden Estates provide to protect residents who wander? 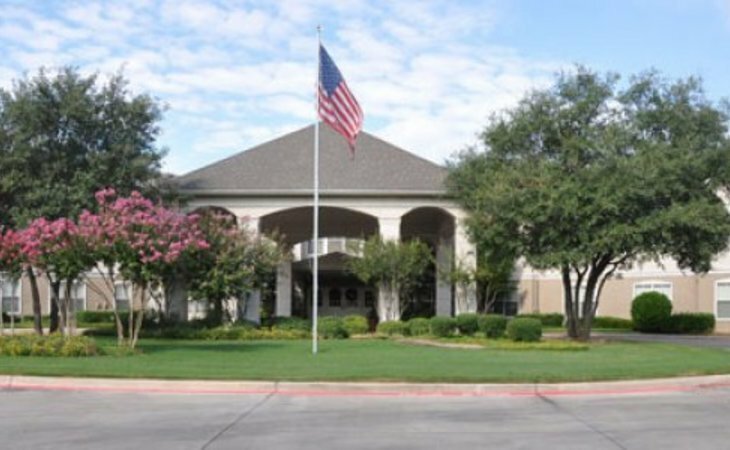 We provide 24 hour care staffing and security staff along with a beautiful gated community. What should caregivers and potential residents know about Brookdale Eden Estates?